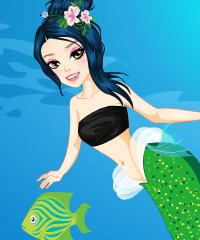 Teenage Mermaid is ready to enjoy her teenage years and be the rebel she always wanted to be! Her friends want her to go out tonight. Can you help Teenage Mermaid to dress up and pick out the perfect outfit because there will be some cuties at the party.